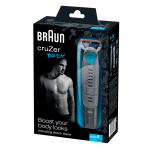 "Braun cruZer 6 body trimmer- trim and shave all areas. 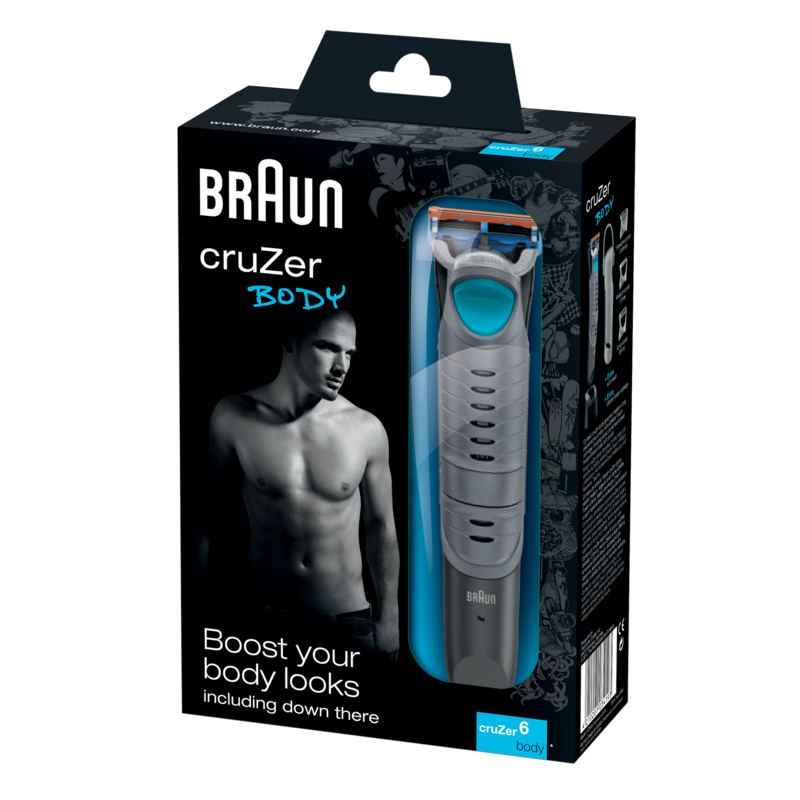 The Braun cruZer 6 body is the perfect tool to groom your body. 100% waterproof, the cruZer 6 body allows you to man scrape in the shower to complement your existing routine. 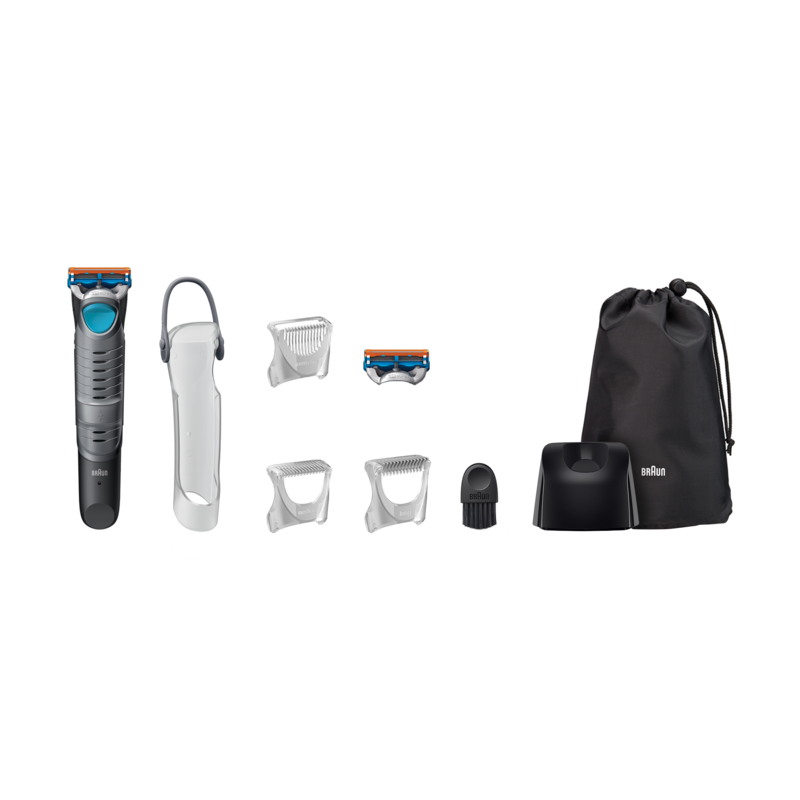 As a 2-in-1 device it mixes the best of both worlds, allowing you to change from shaving to trimming at the touch of a button. It is suitable for all areas of the body, from the chest and abs, to your armpits and groin. 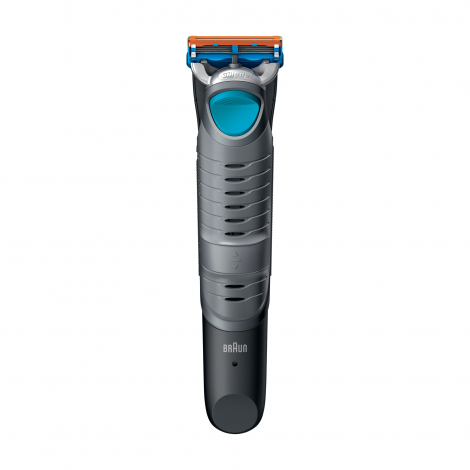 The cruZer 6 body comes with a fine trimming element that features smaller teeth than regular beard trimmers. This works to minimize any nicks and cuts. The sensitive comb also improves safety when trimming delicate areas like the armpit or groin. The three trimming combs allow you to choose the exact length of your body hair (0.6 mm, 3 mm, 8 mm). Equipped with Gillette’s advanced shaving technology, the cruZer 6 body gives you a close and smooth shave. The 5 special blades are spaced close together to reduce pressure and offer maximum shaving comfort with minimal skin irritation. The wet shave functionality allows you to shave larger areas swiftly and in only one stroke for convenience. With the unique combination mode, the cruZer 6 body lets you trim and shave long hair in one go. Trimming and clean-shaving your body hair in one movement makes your grooming routine fast and hassle-free, so you can spend more time doing things you really love.